Officer Down! … To Bust a Move? 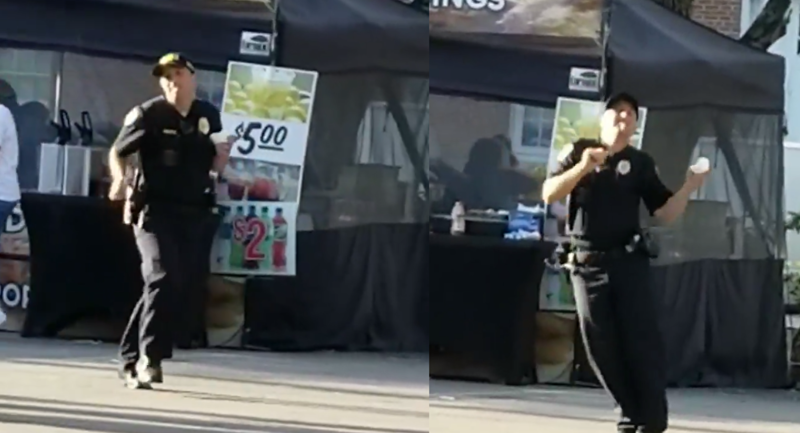 Participating in the festivities of the Colleton County Rice Festival in Walterboro, South Carolina, Facebook user Christina Marie and her children lost it after spotting an officer truly enjoying his sugar rush. The peppy policeman, later identified as Officer Cody Pruitt, was also named the city's police officer of the year in 2017. While his day-to-day performance is unknown, his dance moves could put a few apprehensive festival-goers at ease! Well, just as long as kept a vigilant eye on the area and not his vanilla ice cream.